Not Your Mama's Meatloaf with red pepper and red wine. I know what you're thinking, "ugh! meatloaf?" To that I say, "Yes Meatloaf!!" This was the meatloaf that changed my mind. I was never a big fan until a few weeks ago when my friend Marguerite made dinner for our neighborhood "girls night in". 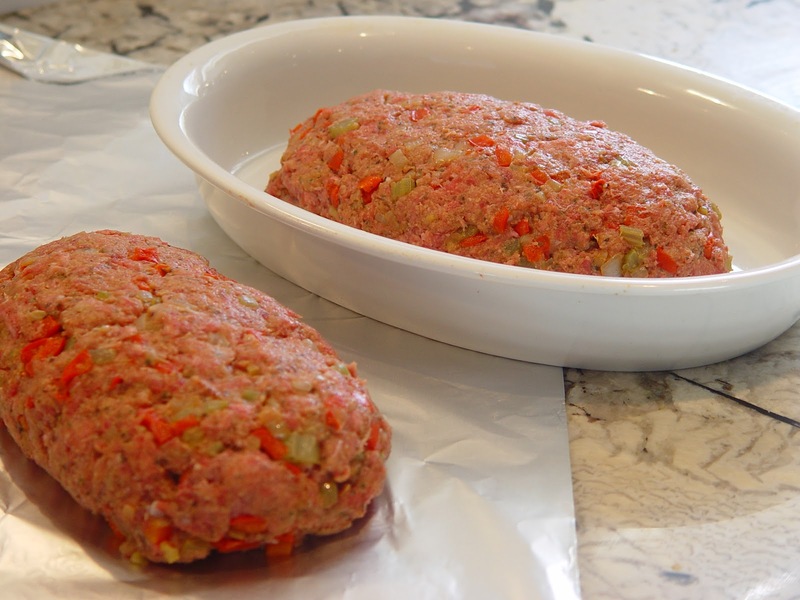 I believe it's the red pepper and the flavor from the turkey mixed with ground beef that gives this meatloaf a really delicious flavor. I am sure the red wine helps too which gives the sauce a robust deep flavor. I actually wanted to take leftovers home that night, I even shocked myself. I am not pretending to be a meatloaf expert but this was excellent!! I hope you give this one a try. Meatloaf with red pepper and red wine. In a large frying pan, add olive oil and saute the onions, red pepper and onion. 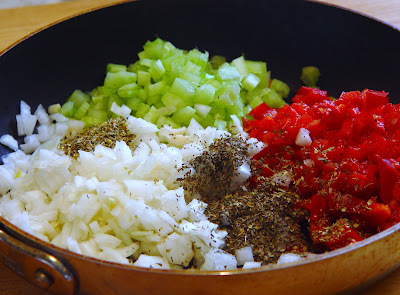 Add seasonings and saute on medium heat until soft. This will take about 15-20 minutes and let cool. In a large bowl, mix all ingredients except tomato sauce and wine. Shape mixture into 2 loaves and put in a 13x9-inch pan. Pour the red wine over the top and than pour the tomato sauce over the top. Bake for 45 minutes, uncovered. Baste with the sauce and pour a little more red wine if you need more liquid. Bake for another 15 minutes, until the thermometer reads at least 160°F. Saute celery, onion and red pepper. 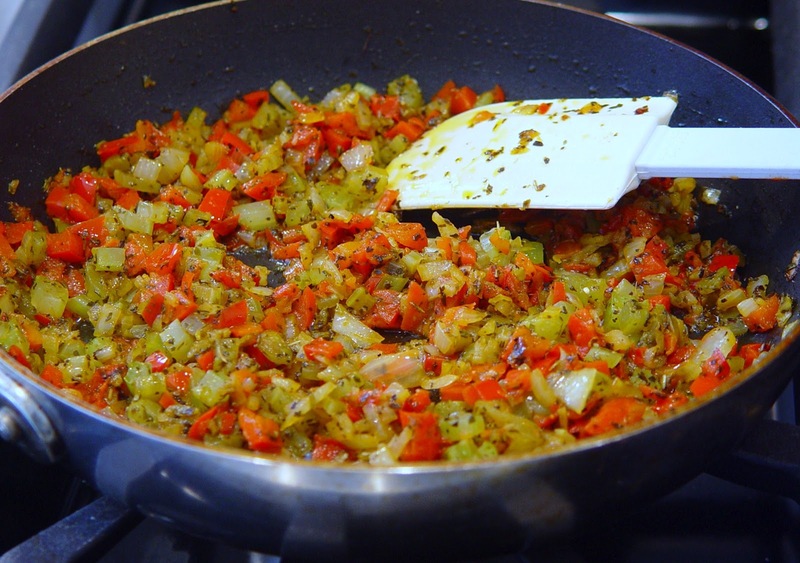 It will take about 15-20 minutes to soften the vegetables. I divided the meatloaf into 2: one for the oven and the other for the freezer for an easy weeknight dinner. I use a dish with high sides but leaving plenty of room around the edges. 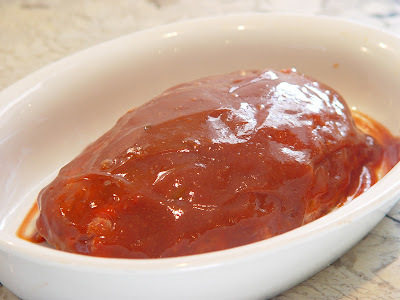 This will allow the sides of the meatloaf to brown and get a little crusty. If you use a use a loaf pan, the meatloaf will steam in itself. I forgot to add the red wine for this picture.